You can watch the event live via webstream, thanks to CET and 90.9 WGUC. The concerts begin at 8:30 pm each night. 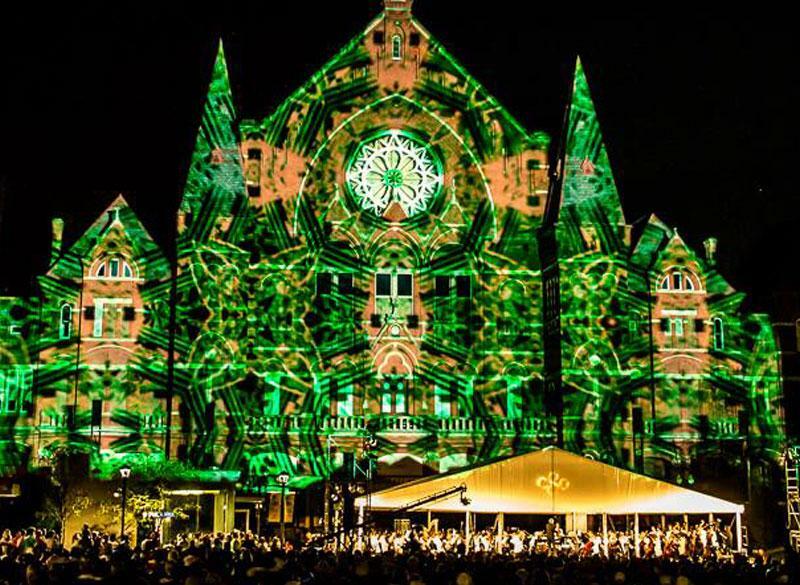 The amazement that is LumenoCity returns to Washington Park next weekend. The event was so successful last summer, this year it's been expanded to three performances, will include an all-new visual and music program by the Cincinnati Symphony and Pops Orchestras, and provide multiple opportunities for audiences to watch, listen and experience. 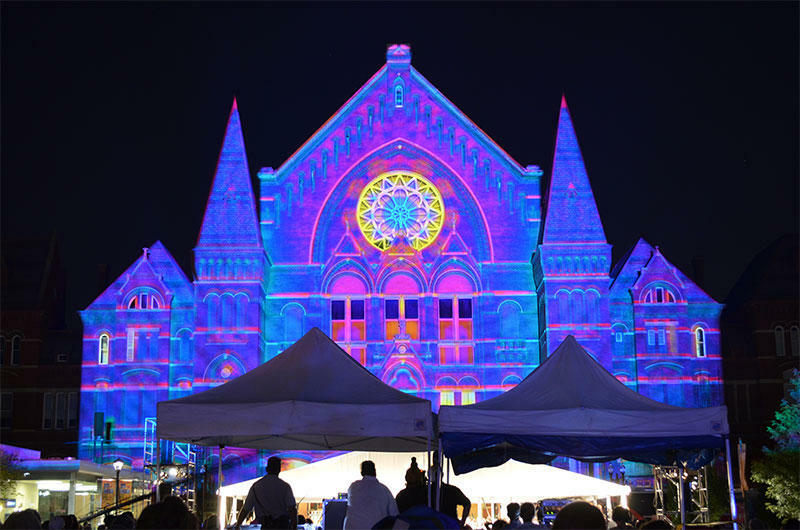 Joining us to explore what goes into the making of LumenoCity is Cincinnati Symphony and Pops Orchestra Vice President of Communications Christopher Pinelo, along with Steve McGowan and Dan Reynolds. Their creative design and production company, Brave Berlin, creates the digital animations, choreographed to the music of the CSO, that are projected onto the front of Music Hall.